Bullanginya Lodge offers 6 spacious, self-contained two room units set on nearly 2 acres of land. Each of our well-appointed rooms features peaceful garden views a private bathroom and a kitchenette. 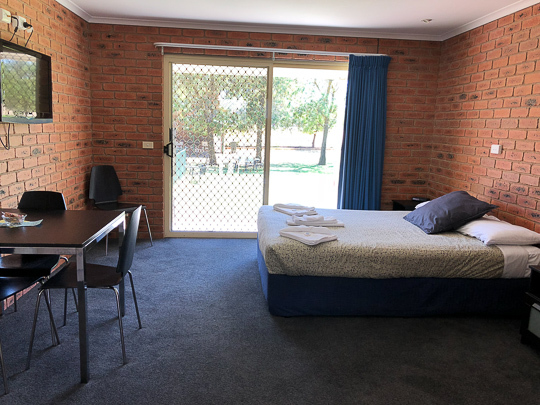 There is also a separate living area in each unit with a flat screen TV, air conditioning and free WiFi is available in all areas. 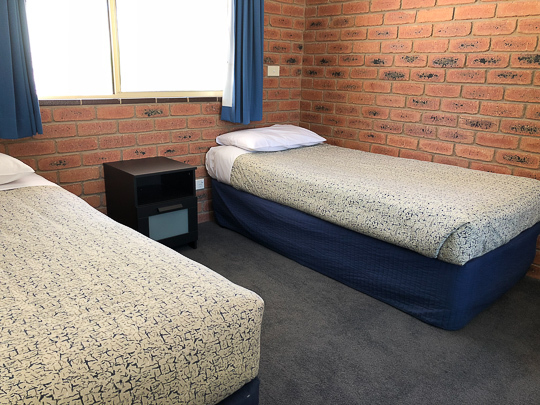 Our Barooga motel is perfect for families, couples or groups looking for clean comfortable accommodation and value for money. Each of our guests receives a warm welcome and our staff are always on hand to answer any questions about the accommodation or the local area. With 2 acres of land, there is also ample parking for boats and trailers. 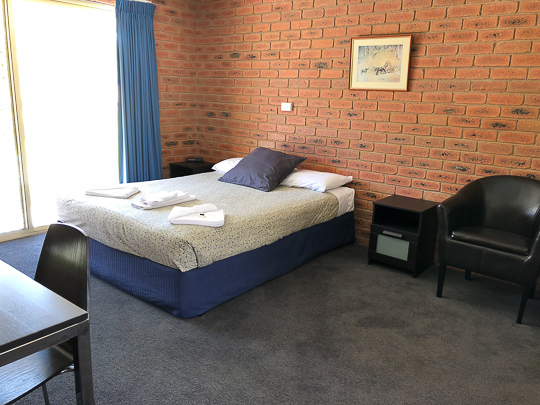 Our motel is set away from the main street yet only a short stroll from the popular Barooga Sports Club where you can enjoy delicious food and quality entertainment. We are also only a short walk from the famous Cobram-Barooga Golf Course which boasts 36 championship standard holes over two courses. However, many of our guests choose to stay on site and make the most of our outdoor entertaining area. Set in lush surrounds, our solar heated pool features a shade sail and beautiful new merbau decking. Cook your own breakfast, lunch or dinner in the undercover BBQ area, complete with fridge, sink and seating, or simply enjoy the surrounding gardens! The surrounding Murray River region is packed with things to see and do for our visitors. Thompson’s Beach at Cobram is one of the region’s most popular destinations. Only a short drive from our Barooga Motel, this beautiful sandy beach is perfect for swimming, picnicking or soaking up the serenity of the Murray River. Cobram-Barooga also makes the perfect base to explore the numerous wineries, art galleries and fresh produce on offer. Other popular activities include kayaking, bushwalking and fishing.